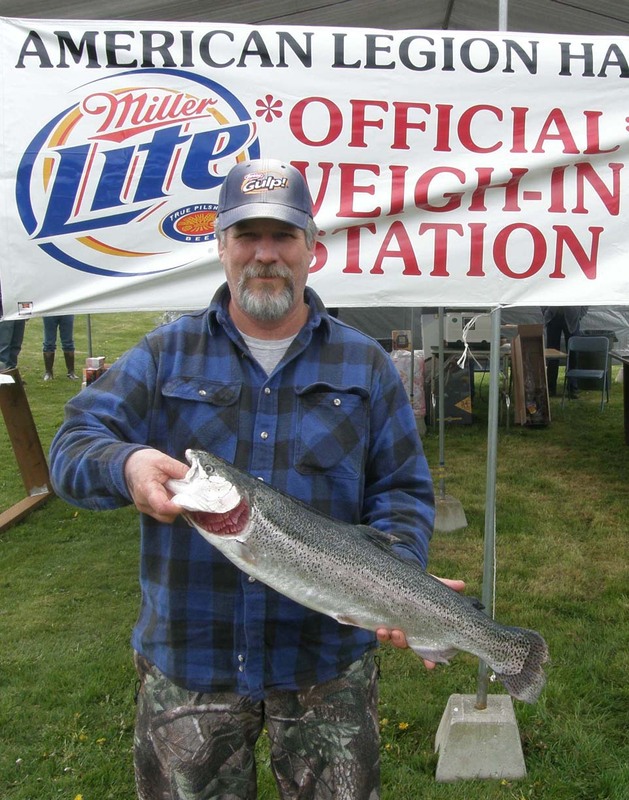 Second Place, Richard Libby, (right) of Spanaway, 9 lb. 2 oz. 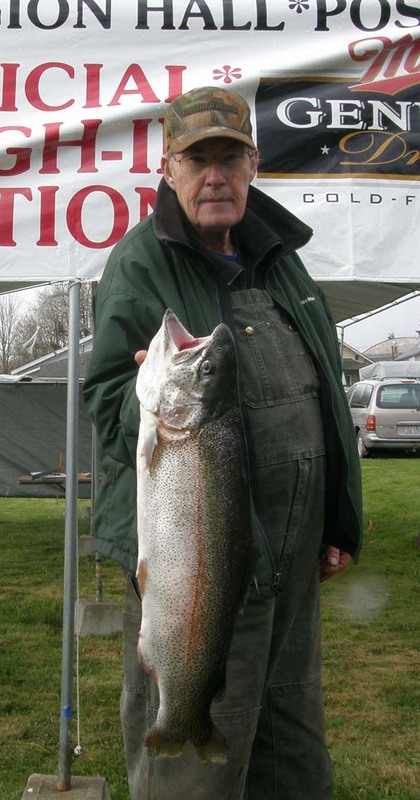 Third Place, Jack Brown, Mineral, 7 lb., 10 oz. Your FISH PHOTOS FROM PAST YEARS ARE HERE! 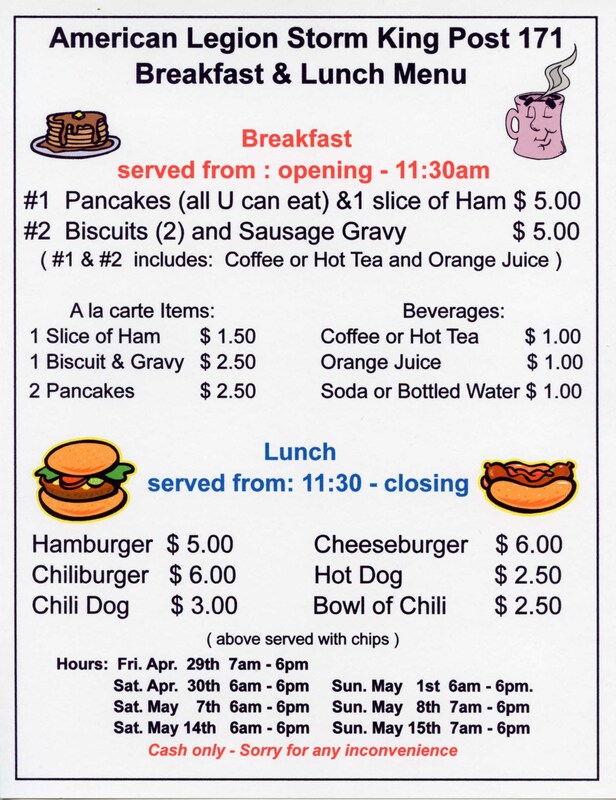 Derby Weigh In: Any time between 6:00 AM and 12:30 PM on Saturday at the American Legion Hall. Derby Awards will be made at 1:00 PM. 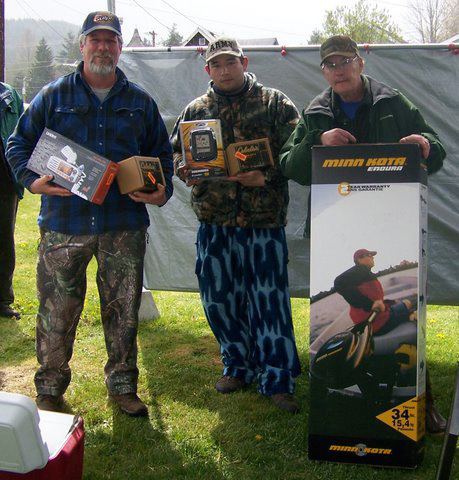 Derby Prizes will be awarded to the top 3 weigh ins. Rules: Trout only. 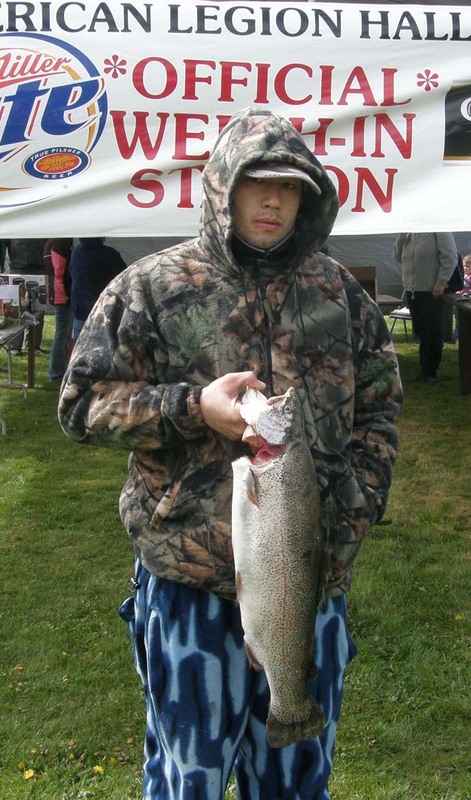 Fish must be caught in Mineral Lake on Saturday, April 30th, 2010 between 12:01 AM (official sunrise is at 6:00 AM) and weigh in no later than 12:30 PM.Only Rainbow, Brown or Cutbow Trout caught in Mineral Lake are eligible for the Derby. In case of a tie in the Derby the girth of the fish will be measured to determine the winner. Derby Tickets: Derby tickets are $2.00 each. Must have Derby ticket to be eligible for prizes and drawing. Food Basket tickets will be available separately. All tickets must have a full name and phone number to be valid. The cut off time for Derby ticket to enter the actual derby ends at 11:00 AM and any tickets sold after 11 AM will be marked with an "X" which means the ticket is only good for the raffle after the derby. The weigh station is next to the Legion Hall on Front Street E.
Tickets will be available from any Storm King Post 171 American Legion Member, Mineral Market, Headquarters Tavern, American Legion Hall, Mineral Lake Resort, Elbe Grocery. After the Derby, winners are announced, there will be a raffle drawing for over 40 raffle prizes, the Derby ticket is all you need. The Legion is also having a Food Basket Drawing for a approx of $120.00 in gift certificates and there will be a drawing for a turkey. All tickets must have a full name and phone number to be valid.